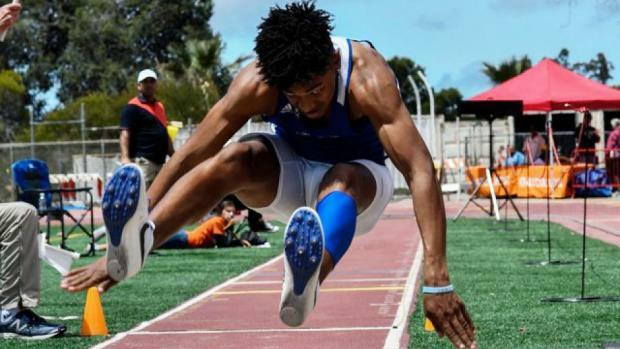 SAN DIEGO -- When Eastlake's Jalyn Jackson finished his first long jump at the San Diego Section Track and Field Championships on Saturday, he knew it wasn't a personal record but he also knew he hadn't come close to hitting the takeoff board. "I saw them stretch the tape and it was right on 24 feet," said the Cal-bound senior. "I knew if I hit the board right, I'd get 25 feet." Three jumps later, he got the middle of the board and sure enough, he watched the tape again. "Ooooh, I was that close to 25 feet," said Jackson of the 24-10 effort that was aided by a 2.5-meter per second wind. The 24-10 is the second-best mark in the state this year and answers critics who had pointed out that Jackson's previous longest mark of 24-5.50 came way back in February. Later in the meet held at Mt. Carmel High, he hit 49-1.75 in the triple jump, his fourth major meet this season in which he's been beyond 49 feet-the epitome of consistency. 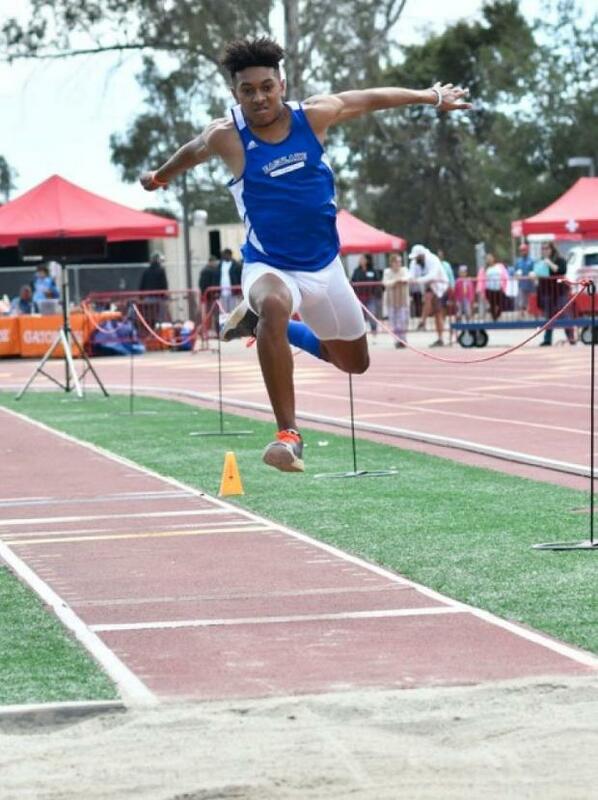 Last year's runner-up in the triple jump said except for a slight hamstring injury, he's ready to have a huge State Meet in Clovis this coming weekend. "I guess that makes me one of the favorites," said Jackson. "I think the heat in Clovis will help my hamstring and I'm looking to improve,"
Maybe a 25- and 50-foot double? His performances were part of the highlights of the meet that produced 17 section bests.